Is Kombucha Tea Good for Yeast Infection? - YeastInfection.Org by Eric Bakker N.D.
You are here: Home / Diet And Yeast Infection / Is Kombucha Tea Good for Yeast Infection? What are the benefits of Kombucha tea for Candida patients? Kombucha is generally not recommended for people struggling with an overgrowth of yeast or Candida. This in all likelihood has had to do with the sugar and alcohol levels of the Kombucha, which can vary widely from batch to batch and manufacturer to manufacturer. It has been noted that the liver and kidneys can be adversely affected especially if they are not functioning properly to begin with. It is recommended that commercially prepared brands of this beverage be consumed to insure only helpful strains of yeast are used, proper acidity is maintained and levels of alcohol kept low. It’s one of the reasons that many patients never fully recover from yeast infection. It is known that foods and beverages have different benefits for each individual. For many, this beverage will not only be a pleasant one but can also have profound health benefits. Can Clove Help Against Candida Overgrowth? Side-effects of Kombucha you might experience. One issue of great importance is be certain of what strains of yeast the Kombucha Scoby contains. A study found that some samples contained Candida Albicans, the strain of yeast responsible for Candida overgrowth. If the Kombucha contains only beneficial yeasts and not pathogenic ones, then the drink can begin to balance the gut flora. There may be an initial flare up of symptoms, which can falsely lead to a person to conclude that Kombucha is making the yeast problem worse. This not always true. In most cases, a rebalancing of the gut’s environment may result in discomfort while changes are taking place. Kombucha, taken in small quantities increased slowly over time can help minimize the discomfort and rebalance the flora of the gastro-intestinal system. It can help people with candida in the gut, Eric Bakker did a video on the topic which you can watch below. It is difficult to define conclusively what Kombucha is good for as a claim would need to apply to all people in the culture that the claim is being made. Kombucha can vary widely from batch to batch as it is typically uncontrolled and unregulated as far as the manufacturing process goes. However, Kombucha should not be discounted and deemed harmful or declared unbeneficial for all people. Testimonies prove otherwise and many people find Kombucha to be an essential part of their recovery and maintenance program. There have been many claims that Kombucha has helped many people with various conditions. There also have even been reports of increased libido. None of this has proven to be true in “controlled” studies. In spite of this, Kombucha is worth careful study and consideration. How much Kombucha should I consume and when? Recommendations vary and should depend on careful consideration of the individual. Eric recommends drinking 150 mL three times per day which amounts to about 3 liters per week but also notes that the amount is influenced by dietary intake, supplement regimen and of course, the individual’s response to the beverage. Smaller amounts are recommended if a chronic sickness is an issue and a half glass in the morning before breakfast is recommended. Eric also suggests increasing the frequency to twice a day if there have been no adverse affects after a week. One can increase quantity and frequency always adjusting according to how you are feeling. It is noted that bowel movements may become smellier and suggest that this is due to the elimination of toxins from the body. Increasing water intake is advised and adjusting the quantity and frequency according to your body’s signs and symptoms is emphasized. There are many claims of health benefits ranging from support of detoxification, enhancement of immune health, reduction joint of pain, improvement in peristaltic function, lowering of cholesterol and a myriad of digestive improvements. Better functioning of digestion and elimination alone insures positive health changes. This antioxidant rich and pro-biotic packed beverage is a bargain beverage with many benefits. . Simply listen to your body and proceed slowly. Kombucha can be a pleasant replacement for other beverages, which do not enhance health! 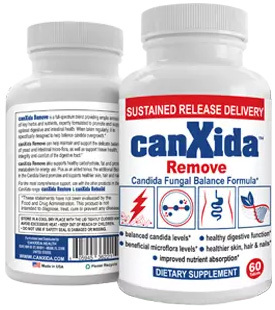 Thank you so much for all of your work on treating candida problems. I was recently diagnosed with a candida skin problem by a dermatologist who prescribed a topical shampoo and lotion, ketoconazole and betamethozole (sp?). I prefer not to use prescription meds if there is a more holistic/naturopathic treatment so I started doing some research after I got home (this was just on Friday 7/17). I am using the medication for now because it has provided so much relief already and I want to get the candida on my skin and scalp under control. It’s so nice not to be constantly itchy for a change! Once I started looking into candida/yeast infection issues I have realized that I have probably had some form of systemic candida for many years…perhaps most of my life…since many of my symptoms (especially the skin and gut issues) have been with me since childhood. I won’t go into all of that here, I just wanted to say thank you for all of the information, articles, and videos you have posted. I am a bit overwhelmed by the implications of this diagnosis, and of course there is some conflicting information depending on the source. However, your website and a few other sources have given me hope that I can heal from this. I am so relieved and so thankful that I have hopes to heal this and eventually be even healthier without being dependent on medication!